Being under the weather or recovering from an operation is no picnic. So, why not give your friend or loved one the boost they need with this colourful gift? 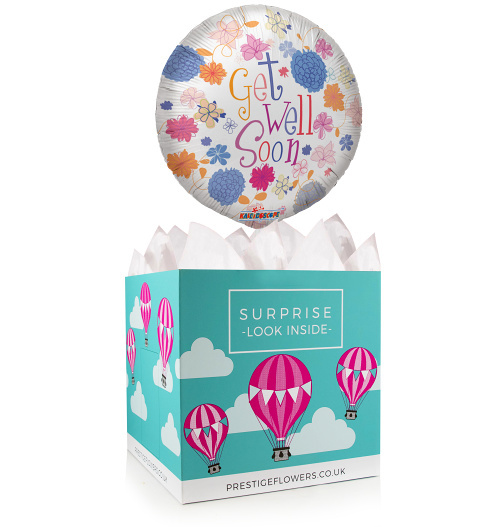 We have chosen a beautiful 18-inch helium balloon and gift box which will also include a card with your personal message. You can also choose from optional extras such as chocolates, cuddly bears, cake, and wine.